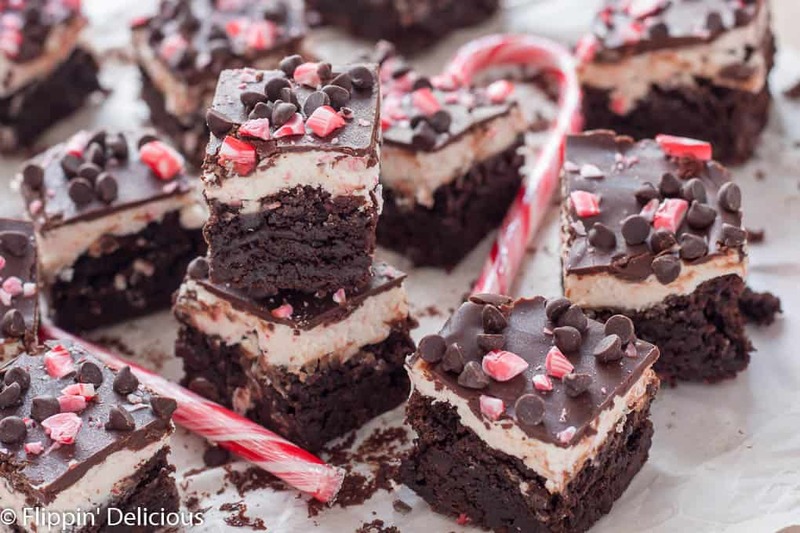 Gluten free candy cane brownies are also dairy free, egg free, and vegan. The perfect festive treat that everyone can enjoy! This post is sponsored by Enjoy Life Foods. All opinions are entirely my own. I am a pretty big fan of their products and company! 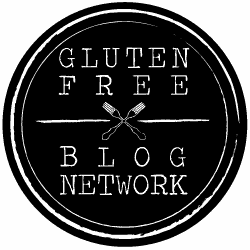 Not only are all of their products gluten free, but they are all free of the top 8 allergens (dairy, eggs, wheat, peanuts, soy, fish, shellfish, tree nuts) AND casein free, sesame-free and free of sulfites. Everyone is my entire family can enjoy Enjoy Life Food’s products! (and I can never keep enough of their Plentils on hand to satisfy my hubby’s cravings.) Thanks for supporting Flippin’ Delicious™ and the companies that I work with! I always look forward to the holiday season. I envision myself baking with my kids, frosting sugar cookies, and cuddling up reading books to them with a steaming mug of hot chocolate. The reality of the holidays is far less romantic. Things just get so busy that I don’t have as much time as I would like to bake from scratch. Or to bake in general. There are so many places to go, things to do, buying presents; and holiday parties with friends. Because the holidays can get so crazy I always make sure that my pantry is stocked with some mixes like Enjoy Life Foods Brownie Mix, so that when I am short on time I can still whip up something festive for my family to share and enjoy. 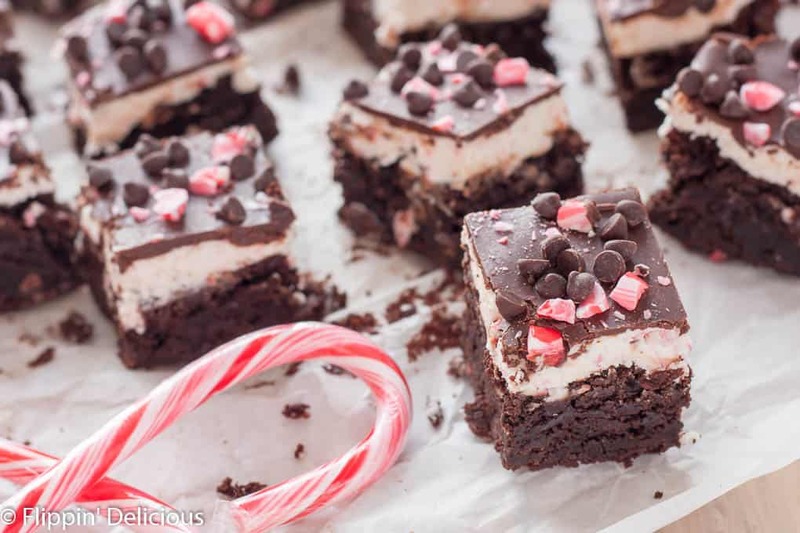 One of my favorite holiday treats is peppermint brownies. Fudgy brownies tops with a creamy mint frosting and then a layer of chocolate on the top. A family member makes them every year for a holiday caroling party, and they are the first thing to disappear. 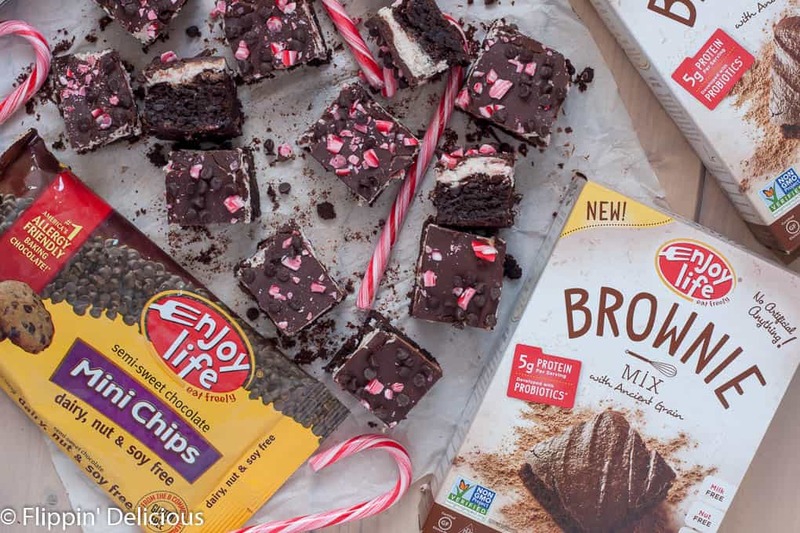 Since I can no longer enjoy those favorite peppermint brownie treats, since I have to eat gluten-free and Miss T has to eat dairy-free, I decided to use Enjoy Life Food’s brownie mix to make our own version, AND I loaded them with candy canes. I like this version even better! I used a little more oil than what the brownie mix calls for, just to make the brownies extra fudgy. 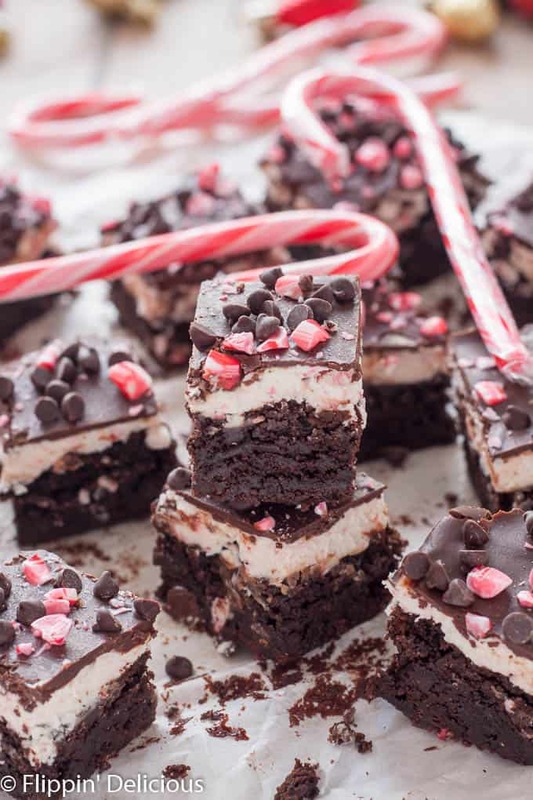 A spoonful of vanilla and a couple tablespoons of crushed candy canes pushes these brownies over the top. That is even before they get spread with sweet and creamy candy cane frosting and a smooth glossy layer of melted Enjoy Life Foods’ baking chocolate. These are festive brownies that the entire family can enjoy! Pour the batter into the prepared pan and bake for 40-45 minutes, or until a toothpick inserted 2 inches away from the sides of the pan comes out clean. The brownies won't be completely set, but will set as they cool. Cool completely before frosting. With electric beaters, whip the palm shortening until light and fluffy. Add the powdered sugar and vanilla, beat at low speed until combined, and then whip for another 2-3 minutes. 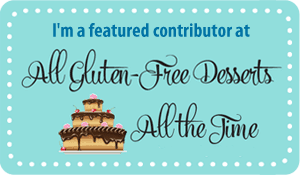 If the frosting is too thick you can add up to a tablespoon of dairy-free milk, a teaspoon at a time. Stir in the crushed candy canes. Spread over the top of the cooled brownies. Put the chocolate and palm shortening in a microwave safe bowl and heat in 30 second increments until melted and smooth. Let cool to room temperature and then spread over the candy cane frosting. Before it sets sprinkle with additional crushed candy canes and Mini Chocolate Chips. I have yet to try their brownie mix. This look like a fab way to dress it up!